No one is a stranger to the fact that understanding tax and corporate compliance are essential to the good standing of any business operating globally. Tax law and regulation varies greatly between countries, and for businesses operating in various jurisdictions, complications can arise due to these variations. Chile has many tax and bookkeeping requirements which must be met by all corporations operating in the region. Probably one of the most standard tax compliances across the board, including Chile, is the ‘Value-Added Tax‘, commonly known as ‘VAT’ (or ‘IVA’ in Spanish-speaking Latin America). What do we understand by VAT? VAT is a consumption tax incorporated into the value of goods and services whenever value is added at any stage of the supply chain. How much is VAT in Chile? 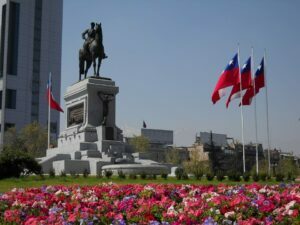 In Chile, VAT reaches 19% – indicating a surcharge of 19% on top of the normal price of the good and/or service. How does the VAT system work in Chile? The final consumer will suffer the economical burden of actually paying VAT. The final consumer will suffer the economical burden of paying the tax without having the possibility of getting that 19% reimbursed. This is mandatory for final consumers. The way tax authorities make sure that this tax is paid for is by the adequate use/register of receipts and invoices. A debit/credit system takes places where the seller of a good or services charges VAT to the next party down the line and buy charging this surcharge, a credit in favor of the Government is born/accrued. This means that the seller needs to pay back the Government – completed via a monthly VAT declaration. In light of the above, on a monthly basis, each company needs to make an analysis and compensate debited VAT with the credited one. After this operation, and if the balance is positive, the company can use it to compensate for future debt flows. On the other hand, if the balance is negative, the company would need to pay the difference to the Government via a monthly tax declaration. Real-Life Example: If a restaurant buys one cooked dish at CLP1,000 + VAT and then sells it for CLP 3,000 + VAT, the restaurant needs to pay the Government CLP570 (Which is the 19% of 3,000). However, the restaurant is entitled to a “reimbursement” of CLP190 (which is the 19% of 1,000). Therefore, it would only need to pay a VAT of CLP380 which corresponds to the difference between CLP 570 and CLP190. Are all good and services affected in Chile? Goods and Merchandise: In light of Article 4 of the VAT Law (Decree N°825) all sales of goods are VAT affected as long as they are located within Chile, regardless of where the transaction/agreement takes place. Services: In compliance with Article 5 of the VAT Law (Decree N°825) all services being provided or used within Chile will trigger VAT, regardless of where the corresponding payment is made or received. The general rule is that the sale of all goods and services triggers VAT in Chile. In order to avoid confusions, the law specifically states different operations which trigger the tax such as any type of importation in Chile. The law also specifically states which operations are VAT exempt, for example, the purchase of used cars. In general terms, if a company is going to import and/or sell goods it will need to charge and pay VAT on a monthly basis. On the other hand, if a company executes professional business services (i.e legal counsel and back-office services), it will not charge VAT and it´s issued invoices will be VAT exempt. It is highly recommended that a lawyer or accountant analyses this prior to registering with the tax authorities in order to ensure full corporate compliance. While Chile remains a favorable business destination, complexities may arise during operations. Foreign companies operating in Chile often encounter problems when trying to undertake commercial activities without the support of a local ally. For this reason, all businesses looking to expand operations to Chile should work with a local group who can assist them and ensure that their Chilean expansion is successful. At Biz Latin Hub, we have a group of local professionals who can support your business venture – from assisting with incorporating a local company, to tax and accounting support to recruitment and hiring. Contact us today to find out how we can be of assistance.